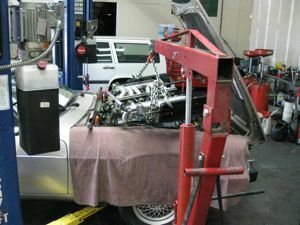 We diagnose and repair most European makes and models including BMW, Mercedes Benz, and Audi. Check your engine oil level while you fill up at the pump. It will save you time and ensure that you never run out which can severely damage your engine. Each model vehicle has it’s own factory recommended service intervals. Sticking to these intervals can drastically improve the life of your vehicle. Once a month, check your tires for odd wear patterns and make sure they are inflated to the correct pressure. This improves your gas mileage and extends the life of your tires. If you have any questions, or need advice, we’re here to help.